Financial planning is, unfortunately, not always an easy task to undertake. For most of us, money is not something that is particularly easy to come by. For this reason, planning for the future and your end goal of retirement can seem near to impossible. The good news is that by working with a financial planner, you can improve your odds of success. 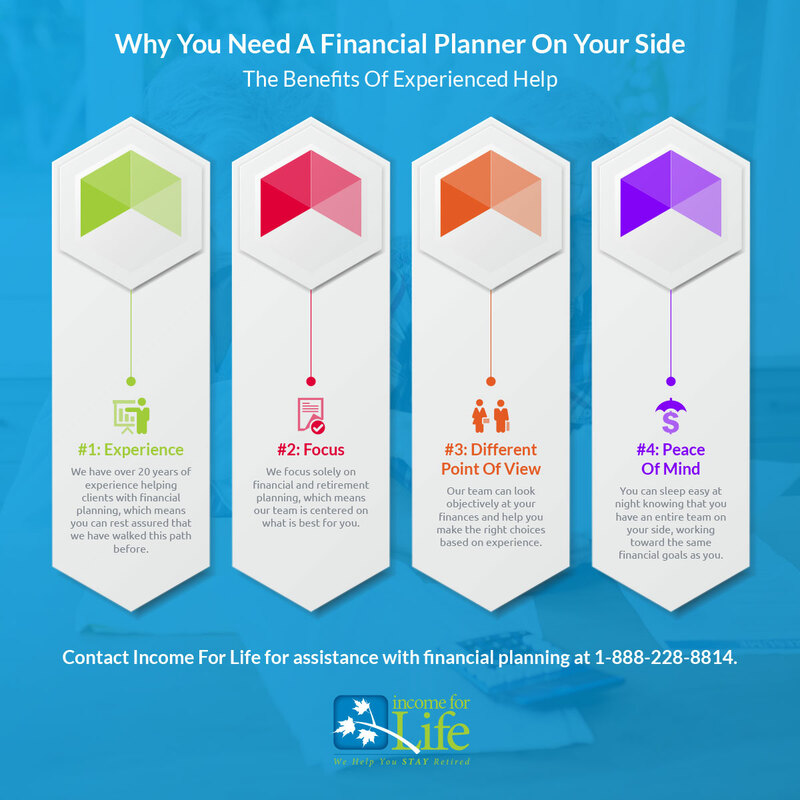 Instead of facing this overwhelming task alone with limited financial planning knowledge, you can enjoy the benefit of having experience on your side. Check out the following benefits of working with a financial planner. With over 20 years of industry experience, we are not simply throwing darts blindly when we put together your financial plan. Our years of experience have taught us the best methods for planning for retirement. You can rely on our team to know what strategies have proven to be effective and which ones have not. 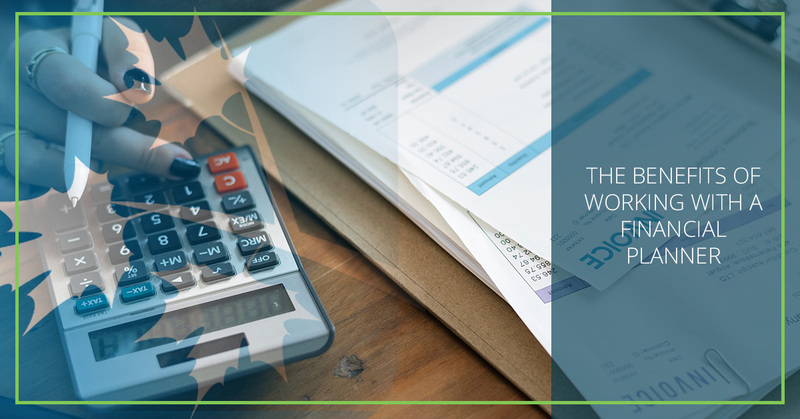 Rather than facing the process of planning for retirement equipped with only your own limited knowledge, working with a financial planner allows you to tap into a vast array of experience. At Income For Life, we focus specifically on financial planning and retirement funds. This niche focus allows us to spend all of our energy on what is best for you. We understand the most minute of details in regards to retirement planning because it is what we spend every single day focused on. Think about it like this — if you own a Lamborghini, you won’t take it into any old mechanic for work. You will seek a mechanic who specializes in this rare car as they will understand exactly how to care for the vehicle’s unique needs. In the same way, you want a financial planner who is centered on the services you need. When you take a look at your own finances, you can become overwhelmed, emotional, and too close to the trees to see the forest. Our team offers you an outside viewpoint. This can go a long way in helping you set realistic goals and see what path is available to you. Having an objective viewpoint is critical for retirement plans. You need someone who can focus on the numbers while you focus on what you want out of your retirement. Perhaps one of the biggest benefits of working with a financial planner is the peace of mind you will have, knowing that your future is secure. When you try to plan your retirement on your own, you may spend many nights worrying that you missed something important. Our team will comb through your retirement plan carefully, in order to not miss a detail. This leaves you sleeping easy at night, knowing you have an entire team on your side. Interested in working with a financial planner to put together a plan for your retirement? Contact us today to learn more about our financial planning services and start enjoying the benefits of having a professional on your side.